What is happening to mansions that were abandoned in 1917? Known since the times of Ivan the Terrible, the Arkhangelskoye Estate was owned by many famous Russians. After the 1917 Revolution it was transformed into a museum. An important part of Russia’s cultural heritage, country estates of erstwhile noblemen went through a period of devastation and decay during the Soviet era. Now the government is providing an opportunity for common people to help restore their original beauty. 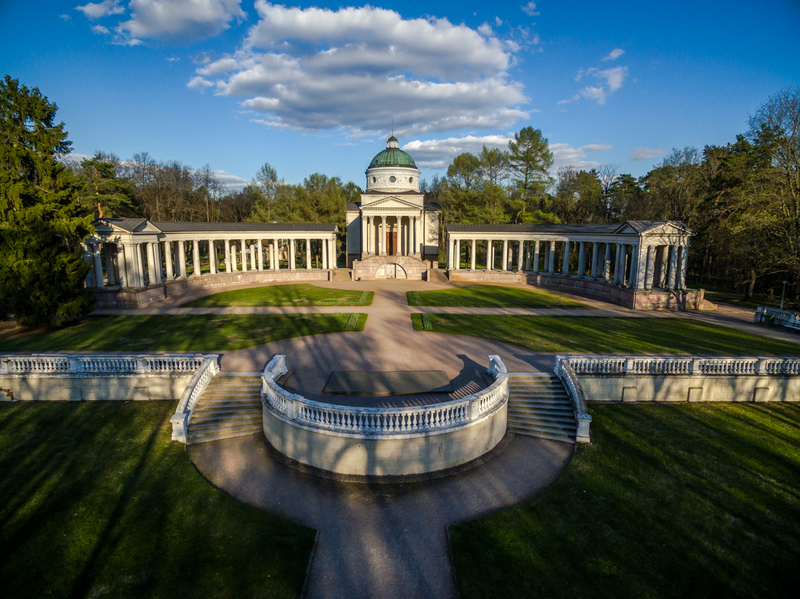 The country estate, with its mansion, gardens, and artificial ponds, is one of the most important cultural symbols of Russia. Many famous writers depicted the idiosyncrasies of life in these estates in their works. The first country estates emerged in the era of Peter the Great, in the 16th century. Later on they became the main place of recreation for noble families, containing parks, artificial ponds, and fountains that were modeled on Western examples, sometimes by foreign architects. These magnificent mansions played an important role in the lives of the nobility. The elite of the Russian Empire spent half the year in the city and the other half in the estate. Here one could see how the traditions of the common people and the elite intertwined. Living in the countryside gave aristocrats an opportunity to truly get to know the motherland and its soil, and understand fellow men. Through day-to-day interactions in the household, hunting trips, and communication with the staff, the landowners could learn about the concerns of the common people and enjoy Russian nature. According to their memoirs, estate owners had a strong sense of duty toward their land and the people who worked for them. The estate comprised of many buildings: a manor house, several outbuildings, a stable, a greenhouse, and buildings for servants. A park in the estate often featured ponds, alleys, pavilions, and grottos. While some of the estates were built according to the original designs of famous architects, some were built according to standard specifications. After the 1917 October Revolution almost all noble estates were abandoned by their owners and left to decay. Some were destroyed, while the most outstanding ones survived and were transformed into museums. Today the cultural heritage that estates represent is largely under threat. While officially there are around 7,000 estates registered with the authorities, the actual figure might be much higher. Most registered estates need serious and urgent repair, but the government is unable to restore them on its own. Since it lacks resources, the government has put forward special programs for investors willing to accept this responsibility. Annually around 30 to 50 estates are transferred to a private owner or renter. But the level of interest in this kind of investment is not high. Descendants of noble families, representatives of non-governmental organizations and investment companies, common people, and businessmen are helping to restore previously magnificent mansions. Among these groups, the descendants of the nobility are probably the most effective owners, since they know the traditions and history behind the estates and often start to live in their family estates post-renovation. High costs, strict restoration requirements, and potential problems with commercialization make investing in an estate a difficult and time-consuming task. Yet in the long-term, the hassle may just be worth it. An investor receives an exclusive property that, with a right approach, could be transformed into a hotel, school, or any other public place. Furthermore, there was a case when restoration workers found a treasure of 380 ancient copper coins in one of the estates. There could be many other pleasant surprises in store for the buyer of an old and rundown estate.